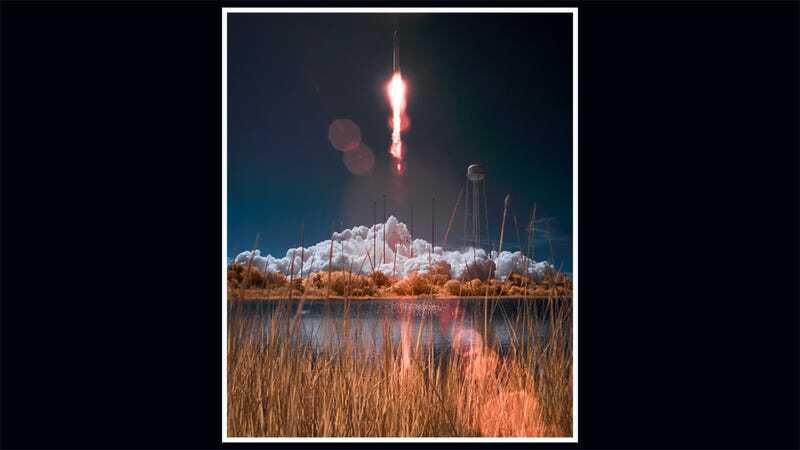 NASA has just released this stunning photo of the latest Antares rocket launch and I am in constant awe of it. The Orbital Sciences Corporation Antares rocket, with the Cygnus cargo spacecraft aboard, was launched from Pad-0A of the Mid-Atlantic Regional Spaceport (MARS), Wednesday, Sept. 18, 2013, NASA Wallops Flight Facility, Virginia. Cygnus is on its way to rendezvous with the space station. The spacecraft will deliver about 1,300 pounds (589 kilograms) of cargo, including food and clothing, to the Expedition 37 crew.